The Hot & Humid Body Constitution is a byproduct of inefficiencies in the liver and spleen that effect digestion. The source of heat in the body is attributable to the fact that hot & spicy foods and beverages are more readily digested by the weakened spleen. Other foods are left partially undigested, and this is the source of inner “Humidity”. The build up of inner humidity often leads to skin and odor problems that impact the overall attractiveness of a person. The skin tends to be oilier than average and usually leads to excessive and stickier sweating. Bad breath may also result. To find out how to lead a healthy and balanced life if your body type is Hot & Humid purchase our detailed 15 pages report. 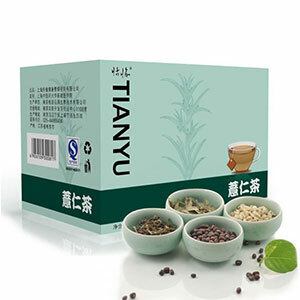 The Oriental Balance China Pearl tea helps to clear these skin impurities and odor issues. This tea not only consists of cooling herbs to reduce the excess heat, it also promotes the removal of excess water by strengthening the Spleen and digestive system. Hence a prolonged treatment with the China Pearl tea will gradually improve your health and appearance.